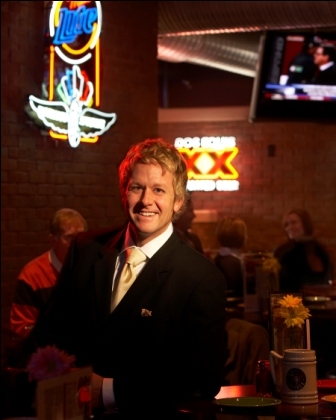 The following is a guest blog from Scott Wise, a Chamber member and owner of Scotty’s Brewhouse. All of the views and opinions expressed in this post are solely Scott Wise’s and do not necessarily represent the views or opinions of The Greater Bloomington Chamber of Commerce. To submit a guest blog e-mail DeJohn Rose for more information. Since opening the first Scotty’s Brewhouse in Muncie in 1996, I have experienced the highs and lows of the restaurant business. After the initial success of Scotty’s, I opened a fine dining restaurant in 1998, where I lost nearly a million dollars in three years. Needless to say that was one of my low points, but I think I learned more from that failed venture than I’ve learned from any of my successes. 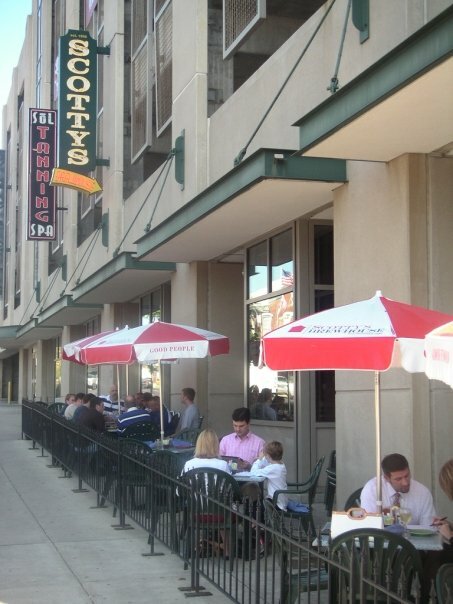 When we closed that restaurant down, we opened our Bloomington Scotty’s Brewhouse location in 2001. West Lafayette opened in 2004 and the northside Indianapolis (96th Street) location opened in 2007. We opened our downtown Indianapolis location (at Virginia & Pennsylvania Streets) in 2009. Scotty’s Lakehouse just opened this summer and we’ll be opening our Brewpub, Three Wise Men Brewing Company in Broad Ripple in late 2010. We also have a project we are planning to launch in 2011 in Fort Wayne. We’re looking to locate in left field of Parkview Field, home of the Minor League Fort Wayne TinCaps. A big part of our recent success and expansion, despite the down economy, can be attributed to our presence on social networking websites. A year and a half ago, when the economy crashed, we were looking for ways to cut costs without laying employees off. At the same time social media was really taking off, so we eliminated every single piece of outside advertising, no print, no radio, no other types of traditional media, and shifted our focus to e-mail, Facebook, Twitter and Foursquare. In the past, we would spend about $250,000 each year in football ads, newspaper, and radio during Christmas time to promote gift cards. We eliminated all of that. I realized that without a marketing budget, my use of social media was the only way to get our message out. You can’t walk into a business and say, “If you spend $500 on this ad, I can promise you that you’ll generate X amount of dollars back”, that’s why marketers rely on impressions and views and all of those similar metrics. The reason that social media has been so successful and the reason I jumped on board was not just because I had to, but I felt that the world had already shifted over to social media. Recently I gave a talk to a young professionals group in Muncie about social media and I asked the attendees to raise their hand if they subscribed to the newspaper. Of the 50 people I was talking to, only 2 raised their hand. Then I asked them to raise their hands if they had a Facebook account. Every single person raised their hand. I said “You guys just made the point for me – I could leave right now and this would be a successful talk”. The world changes and you have to change along with it. The first social media site that we got started on was MySpace. A lot of people don’t remember that, but Twitter wasn’t around, Facebook was only for college students so MySpace was then what Facebook is now. I knew that, and I got on there and was putting up my designs and stuff. I wasn’t posting like I do now, I mainly put up a lot of our marketing messages on MySpace. Then I started putting up pictures of me on the boat or with my kids. Then when Facebook announced they were opening up to everybody, right away I got on there and started putting our stuff up there. That’s when I started having fun saying and posting funny things. Then Twitter came along and I created my account @brewhouse in November of 2008. To learn about Twitter, and figure out the best way to use it, I did a lot of reading about how it can/should be used. Then I did what I do with all applications in my business – whether food and drink, specials, promotions, atmosphere or marketing, I put myself in my consumer’s shoes and thought “how would this be important to me, why would I enjoy this, and what can I get out of this?” This has always been important to all of my planning – put yourself in their shoes and understand if it benefits them, or are you just doing this for yourself. One of the most important things for me when it comes to social media is being genuine and real. I call myself the Howard Stern of social media, because I’m not always politically correct with the things I say or do, but it matches my brand. People know it’s me and they know I don’t have a ghost writer or a ghost blogger doing my updates for me. They’re getting the real me telling them what’s going on in my life. One day I might tell them that my kid just crapped his pants then three tweets later I’m reminding people that kids eat free on Sundays. I use the medium in a way that I feel is most effective. I’m not going to blast marketing, marketing, marketing, marketing all the time, because you’ll just turn your followers off. So I dabble in things I’m interested in. One day you might get an article about a chef that I like, then the next day I might say something about the Colts, then the next day I might say something about the Pacers, or something funny about my kids. You have to remember you’re not talking at people; you’re talking with them, meaning half of what you are doing is listening. I think a lot of people forget that – they’re pushing messages. I think you do still have to push messages, because that helps you gain followers, but at the end of the day, we now use social media for communication. I’ll tell you another way social media affects our bottom line. We’re getting rid of our secret shopper company that we’ve had in place for probably ten years, because I don’t need them anymore. Sure they give us the secret shopper and they give us all kind of data, but I don’t need that when I’ve got 5,000 people on Facebook or Twitter and they have a bad experience or they have a good experience, and they let me know about it. It’s funny, I find out things about my staff while they’re at work. I’ll get a tweet that says “Hey, your bartender is doing a crappy job” and if I’m checking my Twitter account then, I get on the phone with the manager and say “hey, you’ve got a problem at the bar, go take care of it right now.” We can take care of things instantaneously, whereas before, that person may have left and might never come back to our restaurant. A slightly newer social networking application that we are using is Foursquare. It was first introduced to me by another guy on Twitter, who I’ve never met in person, @DrThomasHo. He said “Hey, look into this – I really think you need to be involved”. I guess I’m lucky because I have so many people looking out for me because I started looking at it and I started reading more and kept hearing it being brought up in conversations and I think it’s actually one of the purest, easiest forms of social media out there. It’s today’s version of a loyalty card without having to actually carry a card in your wallet. Everyone carries their phone with them; many have an iPhone, an Android or Blackberry, that’s your loyalty card right there. All you have to do is check-in. Now, my job as a business owner is to figure out a way to make that an actual loyalty card – make it where you want to choose my place over the guy across the street because you’ll get 10% off just for checking-in. I embraced a special Foursquare Mayor’s-only discount because that means I’ve got somebody who is at my restaurant so often that he’s considered a mayor. Now I’m going to offer another incentive that says, hey if you can dethrone this guy or gal, I’m going to give you something huge. That’s our next approach, turn it into a competition. In the end, the name of the game is loyalty. I want repeat visit, so I think that’s what Foursquare can do for a business whether it’s restaurants, retail, or something else. I spoke at a banking conference a few weeks ago and I said “I can’t tell you how to use social media in your company, that’s for you to decide, I can tell you that it works”. You have to be the creative one that figures out how it works in your industry. I went on Google and searched for “Foursquare Banking Industry” and I found dozens of articles on there. One example was a bank in Wisconsin. If you check-in at their bank, they give you ¼% off your loan or an initial deposit when you open a checking account or something like that. With just the few minutes of research I did, that’s a great example of what other banks can do. I think location-based social media sites are the next big thing. If somebody’s following me and they live in California, that’s great, but it doesn’t really do anything for me. At the end of the day all the stuff I do, the goal is to get you in the doors of Scotty’s Brewhouse. The beauty of location-based social media is that I’ve got people that are near my locations. They’re the closest ones to getting in my doors so you have to embrace the medium. I think that Foursquare’s badges are brilliant. It just gives people another incentive to keep checking-in, just to get these silly little badges. From a retail point, your goal is to give customers something unique. One of the badges that I think can apply for any organization is a swarm badge. If you get 50 people to check-in at one location during the day, everyone earns the Swarm Badge. So we had a Swarm Badge Party. What does that do for my business? 50 people that are all checking-in on Foursquare are all drinking a beer or two, they’re all having an appetizer…I’ve just increased my sales with people who might not have been there otherwise. I think creativity is your only limitation with a service like Foursquare. Huge national brands like American Eagle and Chili’s have started using it. At American Eagle they now give you a 15% discount for checking-in at their stores and Chili’s will give you a free order of chips and salsa for checking-in. Those are two national brands that are now using Foursquare as a way to drive engagement, traffic and revenue to their locations. A few closing thoughts. All of these social mediums can help you with marketing, but one of the most important things you can do, both for your business and personally, is listen. You know the people you see at a party and you can tell they just like to hear themselves talk? I think the successful people just zip their mouths and let somebody else talk and sit back and listen. I think that same thing can apply to social media. One of the biggest benefits for Scotty’s is being able to listen to our customers through social media. Creating a personal connection is one of the best things that Twitter has allowed me to do. I got into the restaurant business is because I’m a people person. I like talking to people, I like bartending, and I like waiting tables. As we’ve grown I realized that I created for myself a desk job. I got into the restaurant business because I didn’t want a desk job; I wanted to be behind a bar. The beauty of Twitter is that it has allowed me to electronically table-touch and bartend again. In our industry we have our managers table-touch – which means going around to the tables and seeing how the customers are doing and taking care of issues. If the customer isn’t happy, they can take care of the issue right away. Now, Twitter has allowed me to do an electronic table-touch in front of 4,500 followers. That’s the best thing in the world! It doesn’t bother me that someone complains about cold food in front of all my followers, we’re not perfect; we’re going to make mistakes. The best part is that I listen to them and reply to them and 4,500 people saw that I took care of the issue and gave them a gift card and made the situation right. That’s the beauty of social media – it’s about making personal connections with my customers. If you would like additional information on my experience with social media, check out an interview I did with Jeremy Williams from Social Mediarology here. This entry was posted in Guest Blog, Tips & Tricks and tagged Facebook, Foursquare, Scott Wise, Scotty's Brewhouse, social media, Twitter on July 26, 2010 by Bloomington Chamber Staff. I love the idea of using Foursquare as a competition. Nice out of the box idea there. Have you thought about using a referral program to give your guests incentive to generate chatter and spread the word about your business? Congrats to you for successfully embracing technology and the ever-changing social media environment. Kudos. I think Scott really hits the nail on the head with these lines. So many companies here twitter, facebook, foursquare, or whatever social network of the day dropped as buzz words and decide that this would be a great place to advertise their company. They use the community just as a way to copy what they have on the radio or television. Thanks to Scott and other companies that are doing things the right way the expectation on social media is higher, users expect to hear back from companies. It’s almost as if we all expect them to be ran by human beings. Scott Wise gets it. I joined Twitter just a few months ago, and through Twitter I started looking for places to eat and drink while visiting Indianapolis during the Men’s Big 10 basketball tournament. 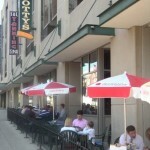 After a couple of “tweets” back and forth with Scott, I decided that Scotty’s Brewhouse was just what I was looking for. Next thing you know, I have a table full of guys dropping a couple hundred bucks at Scott’s place and what did it cost him to get me there? The flip side of that is, I saw another Columbus Ohio guy asking through Twitter where he should eat while in Indianapolis. I “tweeted” to him that he needs to try Scotty’s Brewhouse. A couple of minutes later I get a direct message from Scott Wise thanking me for the referral. This kind of thing only happens through social media, and it only happens when you do it the right way. Scott Wise does it the right way.